EJ Bartolazo DMD, PC (New York) - Book Appointment Online! We offer a full range of services and treatment options. Utilizing the latest technology and techniques we endeavor to provide you with a beautiful and healthy smile. Very Advanced. Dr. EJ Bartolazo doesn't want you to miss out on the dental care you deserve. Than's why when it comes to his advanced education, he annually completes twice the requirements. He wants you to have the benefit of the latest, most advanced techniques. Plus for your peace of mind, we use state of the art sterilization techniques and meet or exceed all OSHA cleanliness standards. Very Convenient. 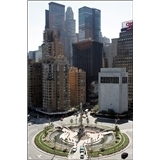 Our office is located on Columbus Circle directly across the street from the Time Warner Center on 58th Street. The 59th Street/Columbus Circle Subway stop services the A,B,C,D 1 and 9 trains. The 57th Street station services the N,Q,R and W trains and is only 2 blocks away. I had a great first time visit. Everyone was incredibly friendly and relaxed.